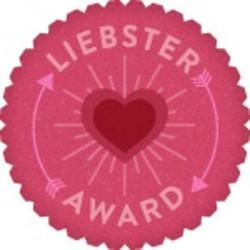 Everything But The Kitchen Sink: Liebester and Versatile awards! First thing first thank you so much to Samantha for nominating me! 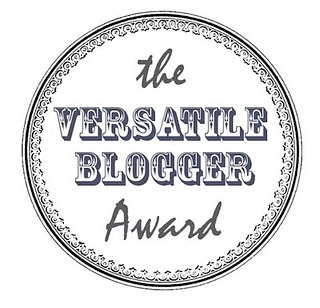 It's so nice to get these awards as it means people actually read my ramblings on my blog, so thank you to everyone! This is gonna be a bit of a mash-up of both these awards, so enjoy! 1) I seriously own way too many clothes... my wardrobe creaks every time I open it. 2) My car is called Clive and he's pretty awesome. 5) I sing and dance to myself, alot. My friends hate it coz I embarrass them too much! 6) I always have a snack and bottle of water in my bag wherever I go, just in case I get the munchies! 8) I'm not as crazy as I sound, I'm actually quite boring and normal..... I think! 1) What is your favourite perfume? 2) What is your favourite drink? Black current Squash! haha I don't like tea or coffee! 3) Using 1 word, how would you describe yourself? 4) Do you prefer cookies or cake? Well considering that I can hardly even walk in heels, it'll have to be flats and I have quite a good range! Ooohh that's a hard one! I have three, Zara, Primark and Topshop! Sweets! My fav is the sugary cherries or sour skittles! 10) Top 5 favourite blogs? 1) One piece of clothing or accessory that you will never ever throw away? 2) Number one beauty product? 3) 3 reasons why you have your blog? 6) If you could be anything in the world what would it be? 8) Harry Potter or Twilight? 9) If you could meet any celebrity who would it be and why? 10) Your best tip or quote. Phew! All finished now! Hope everyone enjoyed reading this as much as I liked writing it!